By understanding our journey and our purpose, we at Universal Metro believe we can do so effectively, without compromising our service and value, by answering the call of our clients to serve as trusted advisors for all of their flooring covering needs. I never planned to get into the commercial flooring business. In college, I worked for the Southwestern Company, a book publisher who recruited college-aged students to sell its books door-to-door. For five summers, I learned the art of selling first-hand; knocking on doors and pitching children’s books, cook books and study guides to homeowners across the U.S. The owners of Southwestern purchased the Metro Companies in 1989 from brothers Scott Hillis and Steve Hillis, who is now president of Beaulieu, and decided to have four branches in order to create job opportunities for those graduating students who were most successful in their summer book-selling program. Rooted in the company vision at Southwestern is the value to “build people” and this was evident in its new business venture. “Building leaders” our spin on this same idea, remains a core value of ours today. When I graduated from college in 1990, I joined Universal Metro knowing nothing about flooring, but confident that I could utilize my selling skills. This, along with the desire to someday run a business, led me to succeed in an entirely new trade. With one week of technical training and another in the field with our installation crews, I was charged with developing the healthcare division for the company on the West Coast. Fortunately for me, healthcare became the foundation of the Universal Metro business. 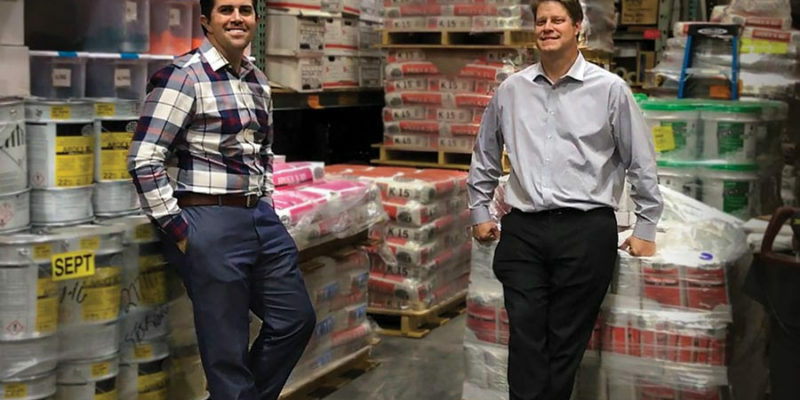 With the success Southwestern was enjoying in the flooring industry, the company decided to further develop three additional offices in healthcare rich markets: Nashville, Dallas and Florida. Each office operated autonomously with independent management teams. 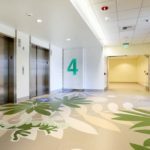 For years, Universal Metro’s model in Southern California remained focused solely on the end-user, servicing all floor covering needs for each hospital from a single source. Whether it was the facilities department or environmental services, each decision-maker within the hospital became familiar with our service offering. While it was hard to argue with that success, there were two primary risk factors in Universal Metro’s sustained growth. For one, even though we were known as “the healthcare leader” throughout Southern California, it’s never a good idea to have too many eggs in one basket. Secondly, Universal Metro had always focused solely on the end-user and as many of our clients used our services to budget for larger projects, we often lost the opportunity to pull those projects through as the work was extended to general contractors, offering more than just floor covering. In the late 90s, I saw that change in the Southern California market and in 1998, with three other partners and a renewed vision for Universal Metro’s future, I purchased the California branch. We focused right away on leveraging our experience in healthcare, focusing on the general contractors who serviced the facilities already familiar with our work. In many ways, the transition was seamless. We still focused on the end users and their smaller, in house projects, but now had leverage to sell our services to those working in adjacent spaces. Through our association with these new partners, we were able to expand our business offerings as well, working on both new constructions as well as renovation projects. Our experiences taught us the range of skills necessary to succeed—from substrate remediation to moisture mitigation, correct material selection to estimation accuracy. Working with general contractors forced us to be even more service-oriented, delivering strong on-site management and technical skill to the installation process in our effort to ensure schedules were met on time and on budget. Healthcare is technically challenging, and a large job includes many aspects of commercial floor covering. With our exposure to a new clientele mix, those general contractors we partnered with soon began extending opportunities to work in other markets. Our reach was extended into corporate offices, retail spaces, schools, hospitality, automotive and other commercial spaces. We learned to manage multi-faceted projects and to control expenses to return good profits on our jobs. For example, in working closely with the general contracting community, we have learned how to properly budget for a project and how to manage the detailed aspects of each project to avoid surprises at the conclusion of a job. 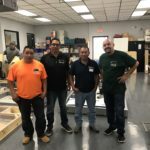 These experiences have taught us how to properly plan the project, how to ensure that the materials are effectively measured and what cost advantages are available with the proper control and management to always ensure a proper installation. Like most flooring contractors, the recession hit us hard and the pain suffered eight years ago still lingers. Team members that were once vital to our business operation were no longer cost-effective without the workflow to support them. Many of our clients that we worked with for years could no longer pay their bills. Unfortunately, I was faced with several tough staffing decisions, reducing our team by more than 20 people, most of whom I considered friends and extensions of my family. In the wake of the recession, and largely out of necessity, we restructured Universal Metro to be as lean as possible, cross-training our team on various systems to ensure that we could do more with less. As the economy began to right itself, this lean and mean model served us well, allowing us to be both selective in the work we pursued and profitable with lower overhead. As more and more jobs began hitting the streets again, so did the requests for proposals. Projects that sat dormant for several years were once again going out to bid. Our services were back in demand and we soon found ourselves in a dynamic position: should we remain a lean and comfortably profitable firm, or scale our growth based on the renewed activity and demand in the marketplace? We chose to do both. With all signs pointing toward a rebounding economy, we knew we had to grow, but under control. We began hiring again; focusing on leaders that could support a team, while running projects from “soup to nuts.” Our account managers, or salespeople, specify the material, manage the planning phase (e.g. estimating, costing, procurement and quality control) and oversee the installation of each project. While many of these functions were once supplemented with the likes of project managers, superintendents, estimators, etc., this lean and hands-on approach allowed our account managers to recapture market share, with the hands-on attentiveness our clients desired and the sustained, controlled growth we hoped to achieve. We are very blessed with a strong staff of nine individuals who fill our account manager roles, and that team includes Grant Petruzzelli, who is also our director of sales and marketing, and me as president and CEO. Grant joined Universal Metro three years ago, just as we knew it was time to scale again. A product of three generations of floor covering professionals, Grant brought with him extensive experience in flooring, operations, and management, and added fire power in our pursuit to develop new business, leverage partnerships, strategically plan and scale to the healthcare market demands. Today, we are focused on identifying new growth opportunities for the business. While healthcare remains the largest segment in our business, we are actively calling on education, government and corporate accounts, independent of our general contractor partners. Our philosophy is to target commercial installation projects and partner with key strategic manufacturer partners, where multiple campuses are in play, thus allowing a single client to become an annuity stream for future business. As we become more aligned with our clients and our mill partners, we can become more aggressive in our growth, knowing we are their trusted advisor for more service offerings under one roof: a true single source solution. For example, where we may have excluded different flooring types (e.g. ceramic tile) and outsourced work in the past, we now know that our clients are willing to pay for value in order to have one firm handle their complete project. As a result, we are now very committed to offer everything in flooring and the size of our projects and the revenue affiliated with those projects has increased. Over the years, we’ve realized that our greatest asset to our vendor partners is not only the abaility to be an additional sale force in the marketplace for their products, but to install them without risk of claims, substandard workmanship, or jobsite failures. To train our teams on the needs of our expanding business base, we have relied heavily on the training programs offered by our vendor community. Our installers are primarily subcontractors, but in partnership with them, we have been willing to fund their training in order to provide uncompromising service to our clients. These training and certification programs allow every level of our staff to elevate their standard of knowledge, exposing our team to emerging trends and allowing Universal Metro to capitalize on the opportunities that help strengthen our bottom line. As an example, an important focus for Universal Metro is underlayments and toppings. 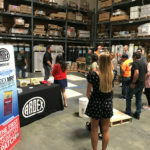 We work closely with Ardex and their Ardex Academy to ensure that every installer, account manager and staff member is certified in their product offerings—a sign of our commitment to the Ardex Level Master Elite partnership. Universal Metro joined Starnet in 2002 and was, in fact, the 100th member! The benefits accrued from this association have been many. First, Starnet has greatly augmented the training program of our company. Starnet University, which is offered online, highlights vendor product information and features bi-monthly webinar series, also focused on vendor products and best practices. With that resource, our staff has ready access to pertinent information on current and new product offerings. Also, through attendance at the Starnet meetings, both the Annual and Fall Membership events, we have been able to attend interesting workshops and general sessions which support leadership training and technical knowledge. Finally, the friendships and associations gained through Starnet are numerous. 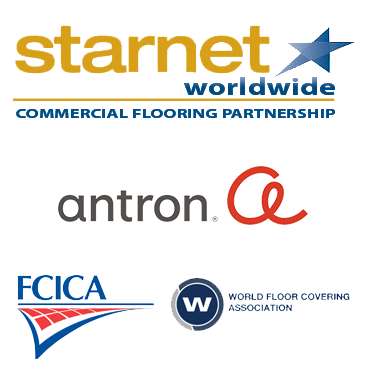 I have made connections with some of the brightest and most successful commercial flooring contractors in North America, and I can call these contacts at any point to share knowledge and develop best practices. With our employees, we always emphasize the products from the Starnet Preferred Vendor network, and in collaboration with our strategic partners, we overstock those product samples in order to provide a service to the local vendor representatives. We welcome them to use our library as their library when needed for client presentations. Right now, we are enjoying a great year of business. We have grown substantially over the past 12 months, largely due to several big projects which morphed into additional work with the same client. Fortunately, we have been able to handle this growth with limited additional overhead and we anticipate continuing this pattern over the next 12 months. As we continue to grow, we are committing ourselves to overstaffing by 20% to provide our staff members with the support and extra bandwidth they need to capture more market share. Additionally, in order to ensure that we have the proper controls long-term, we are implementing an improved flow-through management system, which also has accounting functionality. In addition, both Grant and I are eager to evolve our roles from direct, hands-on selling and project management into more strategic positions with an eye on the future. By this time next year, it’s important that we are both working more “on the business” rather than “in the business.” We are confident that our efforts to do so that will benefit our staff, strategic vendor partners and clients. At Universal Metro, we are excited about the future. We feel that our company is blessed and our team is prepared to meet the demands and overcome the barriers in our pursuit of growing a sustainable business.